Serving the Gifted in the Schools. 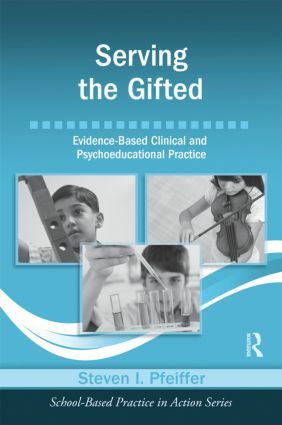 Conceptions of Giftedness: Who are the Gifted? Creativity. Screening, Identification, and Assessment. Meeting the Educational needs of the Gifted Student. Gifted Students with Coexisting Disabilities: The Twice Exceptional Student. Working with Parents. Counseling Gifted Students. Frequently Asked Questions Regarding the Gifted. Steven I. Pfeiffer, PhD, ABPP, is a Professor at Florida State University, where he serves as Director of Clinical Training of the combined Counseling Psychology and School Psychology program. This series provides school-based practitioners with concise practical guidebooks that are designed to facilitate the implementation of evidence-based programs into school settings, putting the best practices in action. It is closed to new submissions.